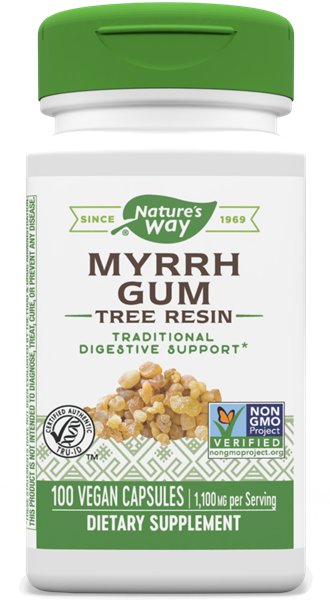 Myrrh Gum / 100 Caps - Nature's Way®. An aromatic resin from trees found in East Africa and Arabia. Myrrh Gum is a traditional herbal from Arabia and East Africa.